Caroline Kennedy, daughter of former President JFK, has been asked by President Barack Obama to be the US ambassador to Japan. 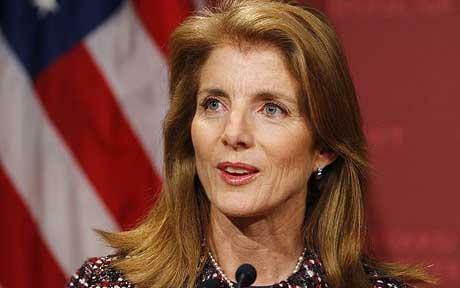 Caroline Kennedy was a key supporter of Barack Obama in 2008 and 2012, but has largely shunned political life. She considered running for a New York senate seat when Hillary Clinton became secretary of state in 2009, but declined citing personal reasons. Japan is America’s largest trading partner. A source from the Democratic Party told CNN on Monday that Caroline Kennedy was being vetted for the post. Previous US ambassadors to Tokyo have included former Senate majority leader Mike Mansfield, former Vice-President Walter Mondale and former House Speaker Tom Foley. Caroline Kennedy is the only surviving child of JFK and Jacqueline Bouvier Kennedy. She is married to Edwin Schlossberg, who owns a New York-based design firm, and they have three children. Caroline Kennedy is a graduate of Harvard and Columbia universities and has served at many non-profit organizations, such as the John F. Kennedy Library and the American Ballet Theatre. Caroline Kennedy was also a speaker at the two previous Democratic National Conventions.